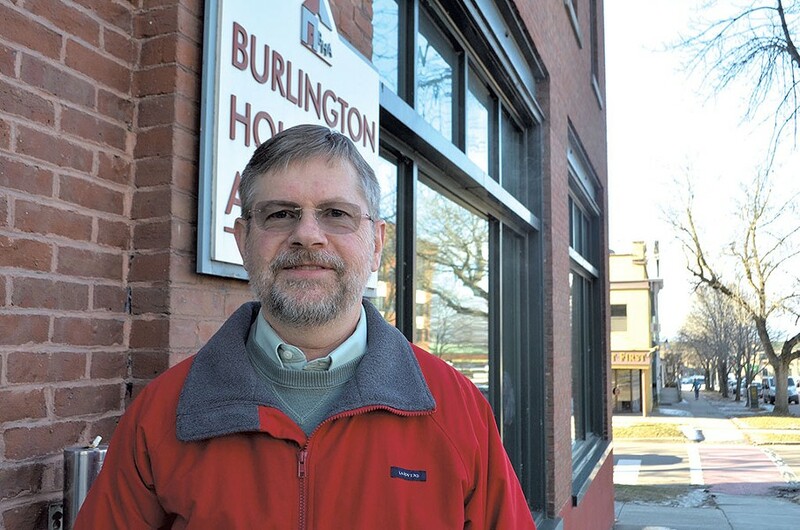 A leadership shake-up at the Burlington Housing Authority may signal trouble at one of the region's most important providers of affordable housing. The BHA is landlord to thousands of vulnerable Vermonters, including some who are mentally ill. Top-level personnel changes came to light last week. That's when longtime property maintenance director Christopher Barrett and former Obama administration official Allyson Laackman were named acting codirectors of the BHA, which gets most of its $22 million annual budget from the U.S. Department of Housing and Urban Development. The quiet announcement of their new roles did not mention the person they are replacing: Craig Zumbrun, hired as executive director in April after a national search, had the equivalent job at a housing authority in York, Pa. Zumbrun took over for Paul Dettman, who left in May after leading BHA for 20 years. Zumbrun was placed on paid leave in October, and he resigned this month, according to BHA board chair Mike Knauer. Problems involving the new executive director started surfacing as early as July, according to an email printout found among court papers in an unrelated BHA-tenant dispute pending in Vermont Superior Court. In the email message, Knauer warned board members — who are appointed by Burlington Mayor Miro Weinberger — about emerging conflicts under the headline: "Heads-Up: Issues with the Executive Director transition." "I'm writing each commissioner to let you know that there are rough edges to Craig's transition," Knauer wrote. "I have talked and/or emailed with several of the managers. There appear to be many management style, culture, personality, expectation, etc. issues that have arisen during the last couple months since Craig took over the reins." He continued: "I had lunch with Craig earlier this week and he brought up the rough edges as well ... My judgment at this point is that the situation is at a minimum a very strong case of transition issues, which you could expect some of with any change — but it is also potentially more deep-seated and may be something that we, Craig and management staff will all have to work very hard to fix." Records from board meetings also indicate director-level problems at Vermont's oldest and largest municipally chartered housing authority. By August, the board was routinely going into private executive sessions to discuss "personnel matters." On August 16, mediator and facilitator Jennifer Knauer, Mike Knauer's daughter-in-law, joined in — free of charge, according to her father-in-law — and there was talk about grievance procedures. Zumbrun phoned in later that evening, according to board records. The next month, a labor lawyer met with the board behind closed doors. Knauer said Monday that a separation agreement involving Zumbrun should be signed this week, but he declined to discuss the reasons for the new director's departure. Zumbrun did not respond to messages from Seven Days seeking comment. Several other board members also declined to talk about the matter, including journalist Garrett Graff. He's the former editor of Politico Magazine who considered a run for lieutenant governor earlier this year. He has been on the five-member BHA board since September. 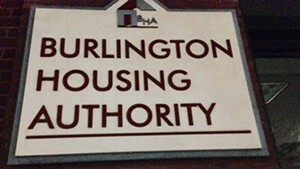 The Burlington Housing Authority was created decades ago as part of the nationwide "urban renewal" that demolished many low-income city homes and replaced them with new, federally funded affordable housing. In Chittenden County, a region notorious for high rents and low vacancy rates, the organization plays a crucial role in housing low-income people. BHA owns and maintains more than 600 units of rental housing and also manages the portable rental assistance voucher program known as Section 8. Qualifying people can live at both BHA and non-BHA rental properties around Chittenden County. None of its buildings is likely to win an architectural prize — such as the looming, drab Decker Towers on St. Paul Street and the utilitarian brick Champlain Apartments at 10 North Champlain Street. But the agency has also partnered on some handsome renovations of historic buildings. There's a long line of people waiting for affordable units at those properties: Currently, 1,198 people are on the list for Section 8 vouchers, according to acting codirector Barrett. Some of those have been waiting as long as 10 years to get to the front. When BHA comes through, federal law requires that residents pay 30 percent of their income toward rent, with certain exceptions. Some of the BHA's tenants have mental illnesses, which can create conflicts. Last March, that contributed to one tenant's death. Ralph "Phil" Grenon lived in a BHA building downtown at 101 College Street. The 76-year-old, who suffered from paranoid schizophrenia, was facing eviction because he routinely yelled at and threatened people. Police and mental health workers had responded to his apartment more than once, but his behavior was getting worse. Police officers had been summoned yet again when Grenon charged at them with two knives and was fatally shot. Although a review by Chittenden County State's Attorney T.J. Donovan concluded that a law enforcement officer was justified in shooting Grenon, the incident led to a public outcry. It prompted Police Chief Brandon del Pozo to institute new protocols for police responses to individuals in mental health crisis. 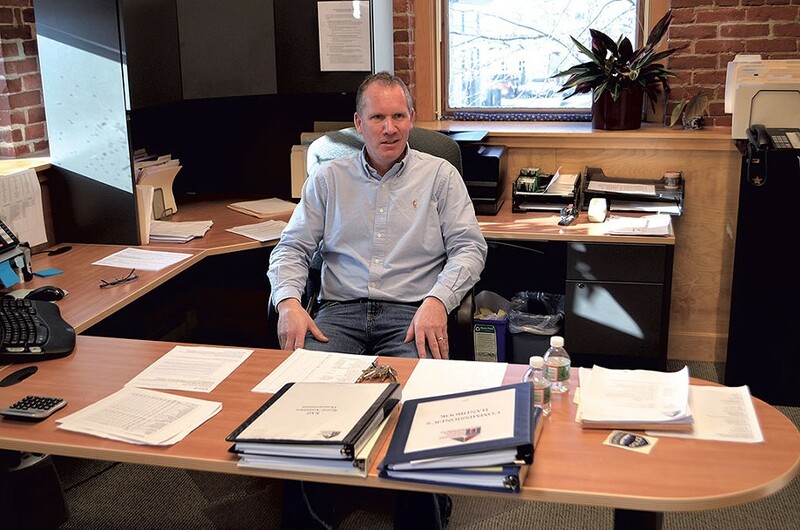 Now, Burlington City Councilor Dave Hartnett (I-North District) is leading a push to advise affordable housing providers, including BHA, to be more careful about evictions of residents with mental health issues. Grenon's brother, Leo, is one of Hartnett's constituents. BHA and other affordable housing groups need to come up with better systems to keep mentally ill people housed, said Hartnett, who first floated the idea of a resolution in November and plans to introduce a revised resolution at a city council meeting on January 23. He helped organize a meeting of affordable housing providers at the Fletcher Free Library this fall. Managers from Cathedral Square, Champlain Housing Trust and BHA were among the attendees. "What we were told at that meeting was that there's many more Phil Grenons in the system," Hartnett said. "There's got to be better outcomes than what happened at 101 College ... We're trying to help the next person." Hartnett added: "I'm not arguing the fact that Phil probably should have been evicted ... To me, there just didn't seem to be a lot of follow-through at Burlington Housing." Sarah Russell, director of housing retention at BHA, said workers take steps to help mentally ill tenants pay bills on time, set up appointments with health care providers and tap into special programs to pay back rent. When the BHA starts the eviction process with a termination letter, residents can appeal. Appeals are often granted, Russell said, especially if individuals can demonstrate they are taking steps to access treatment for difficult behaviors. But occasionally people do get evicted, she allowed. "A lot of times residents are resistant to engaging, especially when there are mental health issues," Russell said. One of the big problems is when tenants who need mental health services won't accept them, said Michael Monte, chief operations and financial officer at Champlain Housing Trust. "If an individual doesn't want support, they are not going to take it. We are really sort of at a roadblock," Monte said. Weinberger said the problem is bigger than Burlington. "I fear, ultimately ... that we as a state don't have enough options for people who are facing very serious mental health situations." The mayor declined to discuss the reasons for leadership turnover at BHA, which employs approximately 50 people. "My sense is that it's a strong board and that they are working hard to come through this period, and I'm confident that they will," he said. For the time being, Barrett will share the director role with Laackman, who has an impressive résumé. She served in the Obama administration from 2008 to 2012, including stints as chief financial officer for the executive office of the president, and as Michelle Obama's chief of staff during the 2012 reelection campaign. Laackman is married to Champlain College president Donald Laackman. She is also a certified public accountant. Laackman did not respond to requests for comment about the search. Barrett clarified that he isn't applying for the directorship. So his new digs — the roomy corner office reserved for the director at 65 Main Street — are temporary.